Cook the pasta according to package instructions. It will yield about 2 cups of cooked pasta. While the pasta is cooking, in a food processor, grind your oats until it becomes a flour. Then add the rest of the ingredients, including the pasta. Blend until it forms a ball. 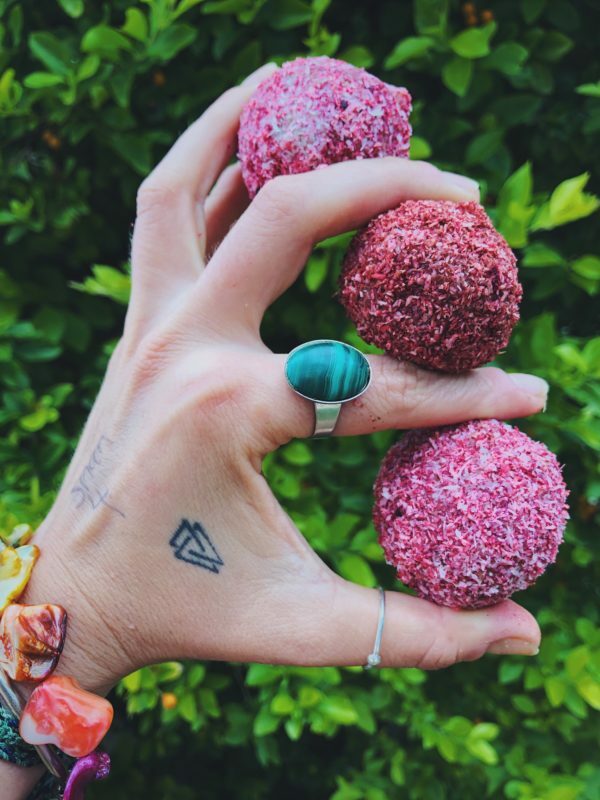 Break up into a smaller date ball sizes and roll into shape. On a clean plate, throw some desiccated coconut and beetroot together and using a fork, mix the two together so the coconut changes colour. Roll the balls in the mixture until coated. You can do the same with the cacao and beetroot together if you want a chocolate-beet vibe – Yum! Store in the fridge and enjoy as high protein and energising snack! 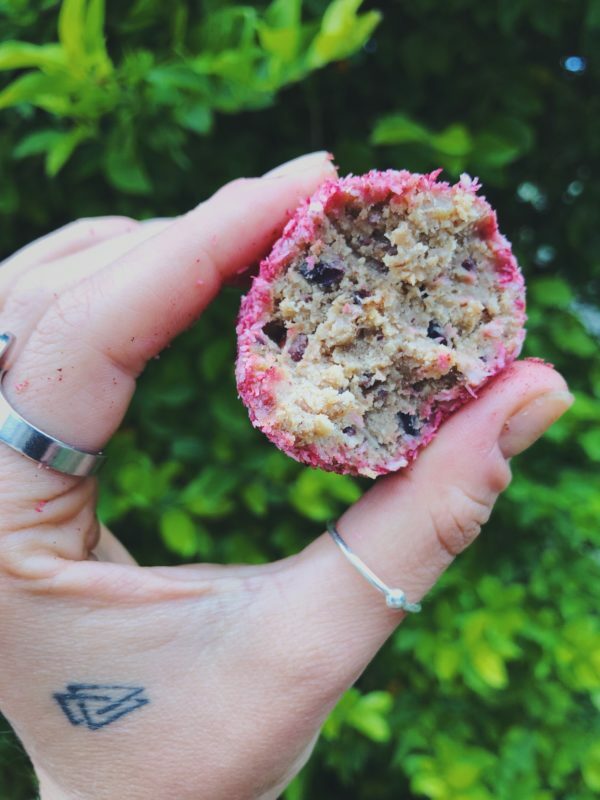 Francesca is a vegan food blogger from Cape Town, now working and living in sunny Durban. 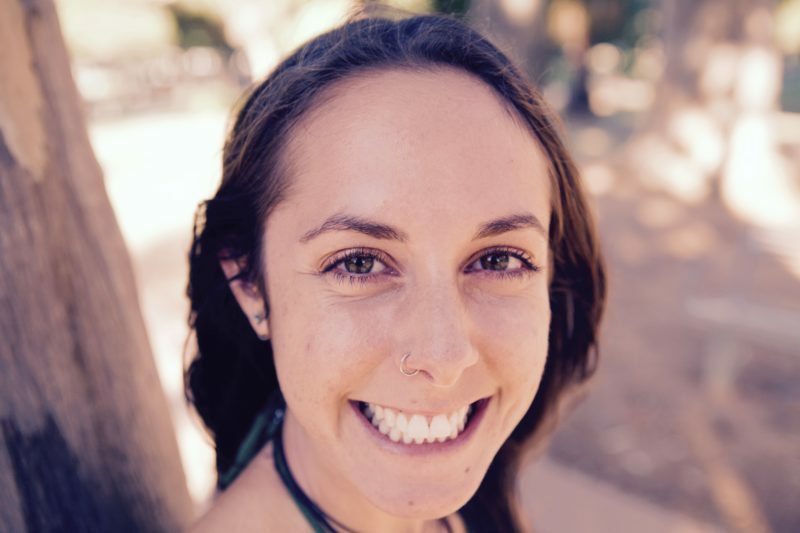 Having battled with eating disorders and dealing with hormonal issues, PCOS symptoms and acne after coming off the contraceptive pill, Francesca was inspired to start sharing healthy and yummy plant based recipes that are good for the mind, body and soul, as well as natural healing tips and tricks that worked for her along the journey to better health. 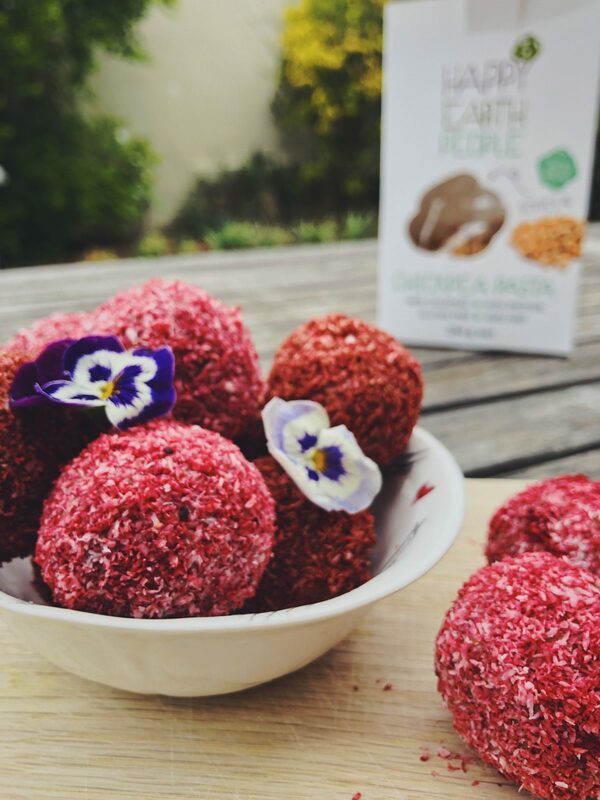 See her blog Francesca Eats Roses or follow her on Instagram & Facebook for more delicious plant-based recipes just like these! This entry was posted in Parent Hacks, Recipes, Vegan and tagged chickpea pasta, Chickpeas, Delicious, Flavour combinations, Francesca Eats Roses, Gluten free, Happy Earth People, high protein, kids, Treats, Vegan.